Hearts edged to a 2-1 victory in their opening Betfred Cup Group C game and made history in becoming the first side to win at Cove Rangers' new Balmoral Stadium. Olly Lee, son of former Newcastle and England midfielder Rob, opened the scoring from outside the area and Steven MacLean added a second from close range in the second half. Paul McManus pulled a goal back for the hosts in the 75th minute but were unable to find an equaliser against the Scottish Premiership side. The opener came after 11 minutes when Austrian defender Peter Haring played the ball out of defence to Lee. He exchanged passes with Kyle Lafferty on the edge of the area before drilling a low shot into the bottom-left corner from 20 yards. 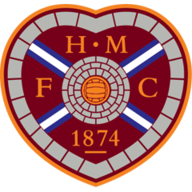 Hearts had the ball in the net for a second time after 31 minutes as MacLean lashed home the loose ball after Lafferty had been denied by goalkeeper Stuart McKenzie, but it was ruled out for offside. Former Inverness winger Jake Mulraney was a lively presence on the left for the Jambos, and he was unlucky to see an effort flash wide of the post after good work from Lafferty. 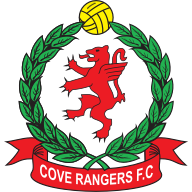 Cove had skipper Darryn Kelly to thank for keeping them in touch at the break, as he appeared from nowhere to deny John Souttar, whose looping header had beaten McKenzie. It was more of the same after the restart as Mulraney broke down the left before seeing a low shot saved by McKenzie. Oliver Bozanic sent the rebound towards goal but Ryan Strachan was on the line to clear. A second goal did come after 57 minutes. Bozanic took a corner from the left which was flicked on by Haring and MacLean was on hand to turn home from close range at the back post. Lee should have bagged his second on the hour as he rounded McKenzie, only to hit the upright. The home side pulled a goal back with 15 minutes left, Paul McManus turning home a Daniel Park cross from close range to set up a nervy ending, but the Premiership side held on to take the three points.